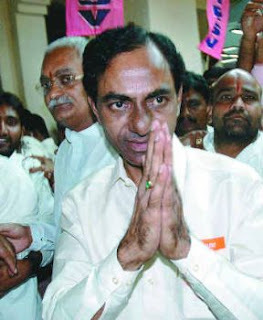 Oflate, the tone and tenor of the words that the people who are leading both Separate Telangana and Samaikya Andhra agitations has changed from bad to worse. While one Andhra region guy says that "if they cant stop the screening of a movie, how can they think of getting Telangana" and the Telangana guy retorts saying "we will not let Andhra buses reach Hyderabad". Where is this agitation leading to ?? If someone needs to be called a "Leader", he or she should earn it by their good and positive actions - not through verbal attacks or threatening people of one region or looking down at people, culture and the dialect of the people of other regions. My sincere support the formation of Telangana doesn't give me right to threaten people of Andhra region or the Andhra settlers in Hyderabad. At the sametime, people who support united Andhra should not make fun of the dialect nor the culture of Telangana region. Andhra people should understand that even their region has different dialects varying from Chittoor - Ananthapur - Srikakulam. If you differ on anything, better be it on economic and other related issues which make a difference to the common man rather than just saying that since we speak the same language, we need to stay together. This doesn't make sense at all. To be a Leader, one must cultivate habit of making positive and constructive criticism!! Thumbs up! Sensible and meaningful post! But the govt. has not yet identified any andhra person in Central University who have attacked telangana dalit students who were supporting telangana agitation. The govt. do not even arrest those arsonists who burnt Railway stations in Rayalseema. They arrest 12000 students in Telangana for burning buses that can be counted on fingers. They only arrest 200 Andhra students for doing the same. Police arrest 12000 students for 9 day agitations. 200 Andhra students for 13 days of agitations. Do we need any thing else to prove who is ruling the govt. today?? ?